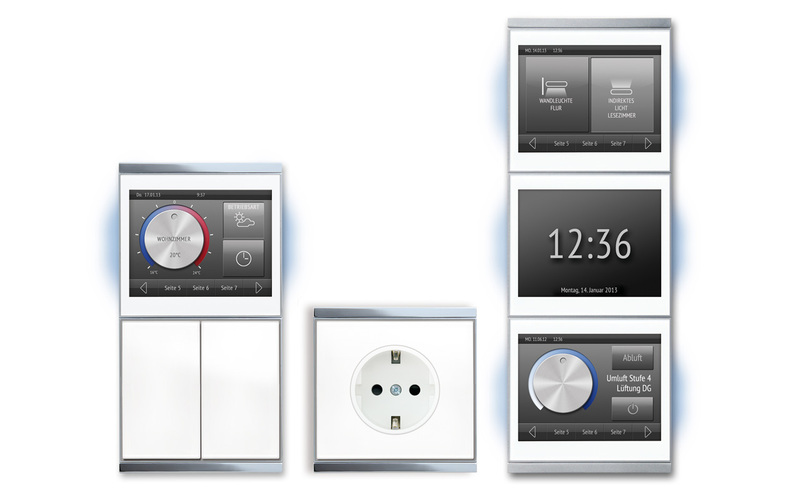 Wth its Corlo KNX System Elsner Elektronik offers a smart home solution, which convinces with high quality, design, ease of use and functionality. The system consists of touch switch and display, a socket, pushbutton and wireless pushbutton. The touch sensitive glass surface in black or white with the high-gloss or matted chrome frame represents quality and design at the same time. The system is able to control ventilation, shadowing, heating and cooling as well as light. All functions are displayed clearly and easy to read – in the form, which the user is familiar with from the analogue world, e.g. as a turning wheel. As an alternative, all functions can be controlled with the Corlo Mobile App via tablet or smart phone. In addition to the smart home control, the display can also show images or videos.